All pictures by Bill Parker. Copyright Bill Parker. Click on a photo and use the comment/caption mechanism to send a message to ask about permission to use. Thanks to Elspeth Kovar, Jim Briggs for caption help on this page. 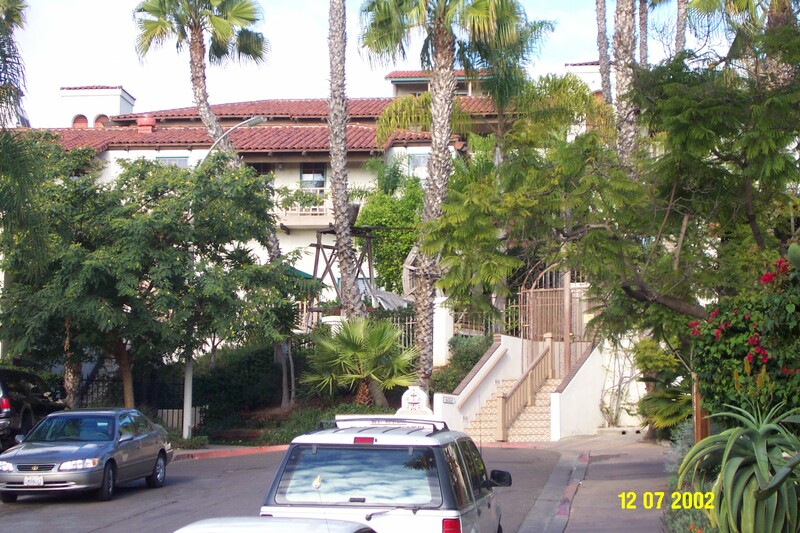 Exterior of hotel (Hacienda Best Western). Kent Bloom standing, Mary Morman sitting on the bench. Martin Easterbrook in vest and Kent Bloom talking to Deb Geisler in striped sweater, Mary Morman sitting on the bench. 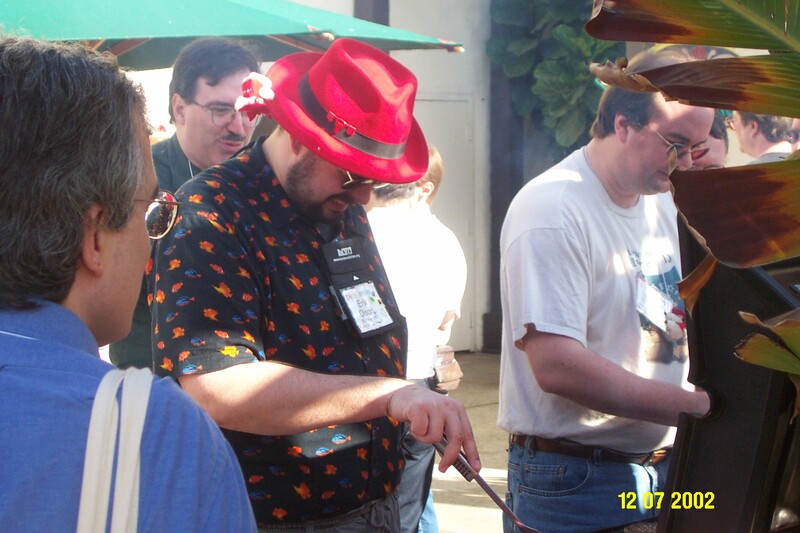 Jim Mann's back, Todd Dashoff in the background, Erik V. Olson in red hat and Stephen Boucher serving up burgers. 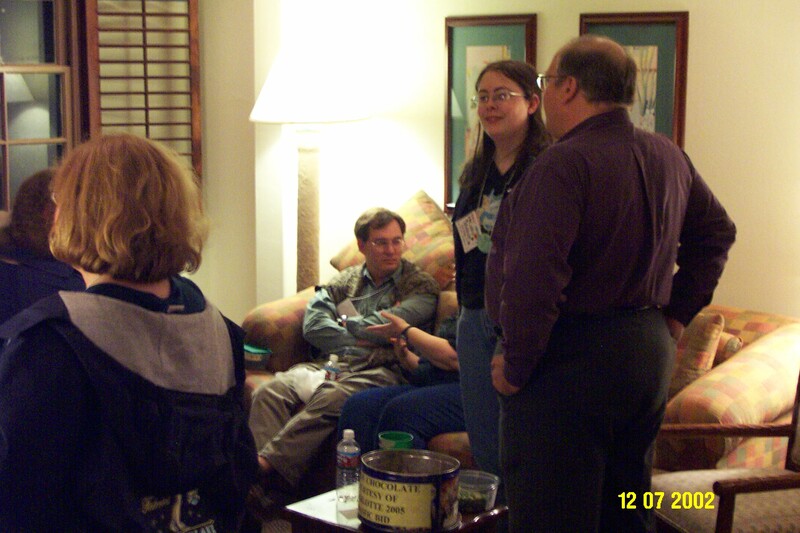 Stacey walks past, Grant Kruger on sofa, Cathy Mullican ("Menolly") talking to Craig.